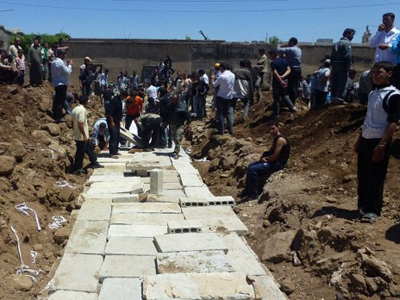 Russia condemns "barbaric" acts of violence near the city of Hama. Individuals who masterminded and committed these crimes must be tracked down and severely punished, states Russian Foreign Ministry. ­There are certain forces which do not hesitate in organizing the most cruel and villainous provocations to disrupt Kofi Annan’s peace plan for the country, said Foreign Ministry spokesperson Aleksandr Lukashevich. In response to the Hama tragedy, consolidation of international effort is vital to back up the Annan plan, he stressed. All external parties involved in solving the Syrian conflict must use their influence to put pressure on armed opposition groups, Lukashevich said. "We only have one Annan plan that was approved by the UN and the entire international community. There is no second plan," Lukashevich concluded. 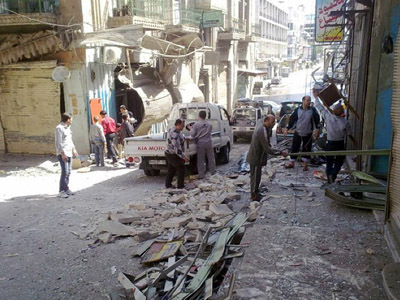 The violence in Hama took place on Wednesday night. Initial reports from activists set the death toll between 80 and 100, including many women and children. However, the British-based Syrian Observatory for Human Rights, whose activists are at the scene, has only confirmed 49 deaths. The Syrian opposition say the victims were killed by government forces, whereas the Syrian government called the Hama massacre a “monstrous crime,” saying its special forces were in the area to combat the “terrorists” behind the killings, Syrian State TV reported. “What several media have reported about what happened in Al-Kubeir, in the Hama region, is completely false,” the Syrian government said in a televised statement. They also say that the number of dead has been grossly exaggerated, reporting nine victims – referring, it seems, to civilians only. 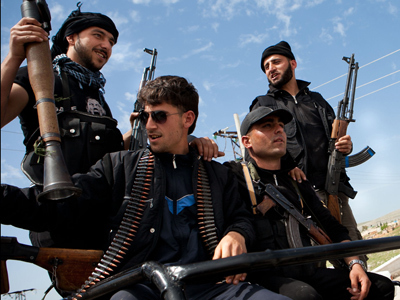 “A terrorist group committed a heinous crime in the Hama region which claimed nine victims. The reports by the media are contributing to spilling the blood of Syrians,” the government statement said. Authorities say all of the militants responsible have been killed, with Syrian forces seizing weapons including rocket-propelled grenades. The UN observers, who arrived to verify the exact death toll were blocked by Syrian troops from the site, mission chief Robert Mood said. "There are 49 confirmed and identified victims in Al-Kubeir, the majority of them from the Al-Yateem family," said Rami Abdel Rahman, head of the Britain-based Observatory. "Among the dead are 18 women and children," he said, adding that six other people were also killed on Wednesday in a village near Al-Kubeir, which is in a farming area northwest of Hama city. 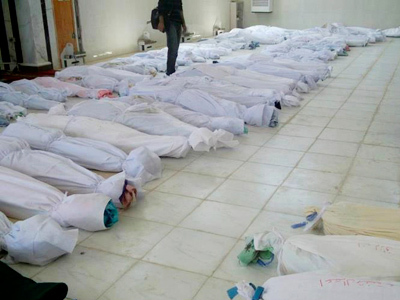 The US has also condemned the massacre putting the blame on the Assad regime. The Secretary of State Hillary Clinton called the violence in Syria “unconscionable” and said that Assad`s time is up, and he must go. 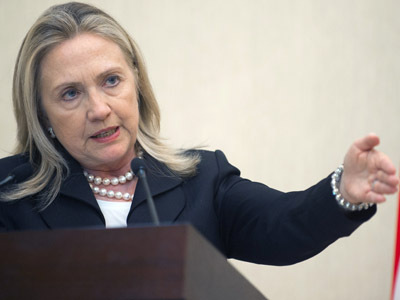 On Thursday Clinton announced a new plan to remove Syrian President Assad from power. US post-Assad Syria plan: Intervention in the cards?